Living with Chronic Pain - Series - Anglia Counselling Ltd.
‘Living with Chronic Pain’ is the second in the “Living with…” series – from authors on behalf of Anglia Counselling – sharing their personal insight managing a life with chronic illness. It’s inspirational and poignant and will help the reader gain a real perspective and understanding of what living with pain and illness can be about. After reading and reflecting on the authors short stories, you will be able to consider, among others, the areas below. 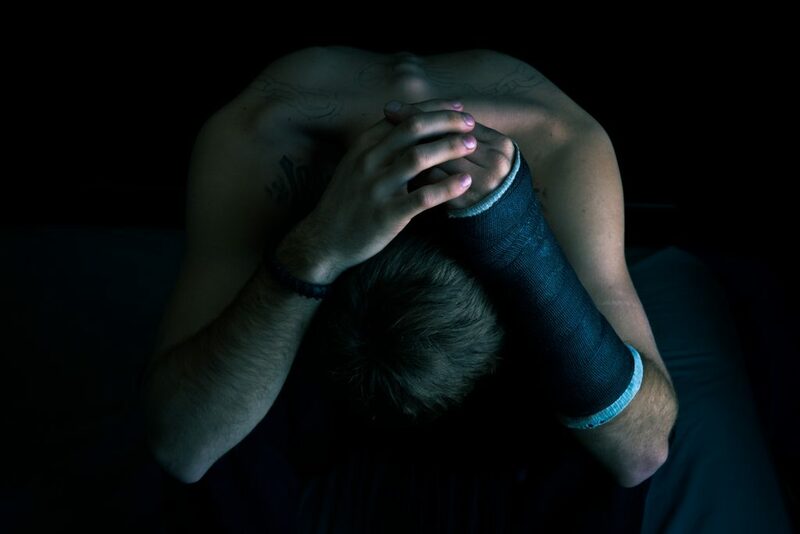 Physical and psychological pain are inextricably linked. If our body is experiencing pain, so too is the psyche. Likewise, if we are in mental (leading to emotional) pain, the thoughts that lead to such discomfort create the physical conditions involving changes to the homoeostasis – or harmony of the body and it’s systems. Stands to reason, if I am physically injured, I will ‘feel’ vulnerable and anxious, likely angry or sad too. I want to include psychological chronic illness for those who suffer this in their life; it is just as relevant. Sadly, regardless of the points of origin, psychological or physical – and both – for many, they may have to work at least twice as hard to as those without chronic illness, just to be at a point the rest of us take for granted. Sleep quality and fatigue play a major part in the experiences of the mind and body of the affected, so to does nutrition. So much energy is displaced during painful episodes. The ability to ‘be with pain’, rather than our natural desire to fight it is critical for many, as is the requirement to find that most elusive of states involving positivity, relaxation and fun! And it doesn’t stop there. The effects on all domestic relationships are inevitably going to be affected, and just like our recognition of pain from a previous time, so will be the reactions and responses from those we come to ask their forbearance of. Clearly, when we feel we are not all we could be our relationship with our own self is likely to be challenged by a lack of control and a sense of injustice. Stigma and discrimination will most likely be experienced at some stages in the life of the chronically ill, and this then pre-disposes to further harm, such as low self-worth, anxiety and depression. Measuring pain is subjective and based on our previous experiences – or re-cognition. Scientists have long sought to explain what pain is, it remains anything but an exact science from the psychological perspective. We do, however, understand the nervous system and how it informs the body when pain is either actually – or perceived to be – present. I’m so sorry for you both, Tim. As a partner living with a loved one in pain we can feel so powerless – because to a large degree of course, we are. I hope this series will provide useful insight to both those living with pain/illness, and those who share their loved ones pain from an external perspective. Guest Post	Why so stressed to be gay?